Definition: A “spiritual awakening” is a shift in consciousness where we look at the world through the eyes of the Spirit, and not through the eyes of the ego. From this higher consciousness we connect with the energy of unconditional love and leave the ego behind. Spiritual Awakening – When you see the world through the eyes of the Spirit. Spiritual awakening requires a willingness to let go of limiting beliefs formed by the ego. In order to dissolve the ego we need to quiet our minds and stay mindful in the present moment. As you know, problems only exist in our minds and when we move away from the ego, we leave problems behind. We become less problem oriented and more solution oriented. This means that our lives get easier as we awaken spiritually. This whole spiritual awakening process where we connect with our Spirit and move away from our ego may take years for some, while others go through the stages of spiritual awakening in only a few days! So, how does spiritual awakening occur? What triggers this shift in consciousness? Spiritual awakening can get triggered by a shocking experience or come spontaneously once the soul is ready. Often situations like near death experiences, or death of a loved one triggers a spiritual awakening. A chocking event often leaves us feeling “empty” inside and filled with questions about life after death, God etc. When we can’t find the comfort we need from the people around us, it forces us to look inside ourselves to find the answers we seek. However, it is not necessary to wait for something drastic to happen in our lives until we learn to shift our consciousness and become more spiritually awakened and aware. We can shift our consciousness deliberately. By practising mindfulness meditation for spiritual awakening, we learn to be more present in any moment. Being mindful and fully aware of what is going on around us, is a spiritual awakening process that takes some practice. However, as we learn to stay in the present moment on a regular basis, this spiritual awakening experience will eventually lead us to a higher level of consciousness and a permanent state of spiritual enlightenment. The last stage of full spiritual enlightenment is very powerful indeed, and it is the unfolding of one’s true nature into pure positive energy. At this stage one is fully living in the present moment and holds no resistance at all. Only a few people (such as spiritual gurus and monks) truly reache this stage of full spiritual enlightenment. It is from this state of being we create “miracles”. We can all connect to this Divine force/Universal force as we tap in to the energy of unconditional love, where no ego exists. As with anything new, we only need to practice to maintain this high vibrational state of being and as mentioned earlier, mindful meditation is a great place to start. If you are searching for spiritual awareness or spiritual enlightenment, try meditation for spiritual awakening. Mindfulness meditation is specifically designed to produce altered states of consciousness. It will help you become aware of the present moment. Eventually you will be able to be unconditionally present with whatever is happening, no matter what it is. In the present moment there is no suffering or pain that results from worrying about the past or future. As you still your mind and move beyond your ego, you reconnect with your inner wisdom filled with unconditional love. In this altered state of consciousness, you will experience the spiritual awakening symptoms of being fully alive and reconnect with life force/God. It is from this place, or state of being, you create everything you desire! As stated earlier, most people will not be ”fully” enlightened during their life time. It is important to remember that the spiritual awakening process towards enlightenment is an ongoing process. Many spiritually awakened people practice mindfulness meditation in some form on a daily basis, and this is a good idea if you want the spiritual enlightenment experience to keep expanding. A person normally goes through different stages of spiritual awakening until they reach a permanent stage of spiritual enlightenment. There is no time frame for how long it takes to go through the different stages of spiritual awakening. Instead, it is a highly individual experience. For some people it may take many lifetimes and learning lessons before a spiritual awakening even begins. Before the spiritual awakening process begins one is more or less ego-oriented. So what are the signs of not yet having awakened spiritually? To answer this we need to understand how the ego works. The ego is a negative energy field that exists in our bodies. It feeds on negativity and seeks drama. A person who loves to compete, criticize, judge, win at any price, convince others that he/she knows everything about what’s right/wrong, good/bad, and best for others. Another sign that a person is ego-oriented and has not yet spiritually awakened, is that he/she can only give conditional love. Without negative energy, the ego cannot survive. In order for the ego to dissolve, we must stop feeding the ego with negative energy from our thoughts and emotions. Meditation is the easiest way to quiet our minds and allow the spirit – filled with unconditional love – to influence our lives. However, most people won’t stop suffering until they have had enough and “hit rock bottom”, before they take a good look at themselves and understand that they need to change first (by letting go of the ego) until things around them can change. Some people stay ego-oriented their whole life without awakening spiritually, but they will re-emerge into pure positive energy when they make their transition to the other side. So, what triggers our spiritual awakening? The spiritual awakening process is often triggered by a dramatic event that has a profound effect on you as a person. Examples can be depression, illness, economic crisis, near death experience, or the loss of a loved one. However, a spiritual awakening can happen spontaneously one day, when your soul is ready. This stage of the spiritual awakening process can be very emotionally overwhelming, especially after a dramatic occurrence. You may need to find new ways to deal with the experience. It is very common to turn to higher forces/God when nothing else can comfort you, or when no one can answer your questions in a settling way. Questions about life after death and spirituality can also arise. A spiritual awareness that there might be something more to life than what we can perceive with our five senses, awakens in this stage. In the third stage of spiritual awakening, the seven chakras are now awakening gradually. 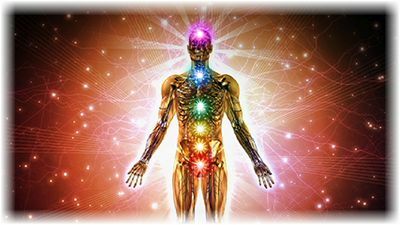 Depending on your state of being, the opening of the energy centers of the body may cause ”spiritual awakening symptoms” on the physical, emotional, mental and spiritual level (see examples of spiritual awakening symptoms below). Your chakras are opening up, as you spiritually awaken. As you allow this new and high vibration in to your body, your inner resistance will become more apparent than ever before. These symptoms can either be mild or intense depending on the state that you are in. If you have low self-esteem, worry a lot, feeling angry, sad, or depressed, it is most likely that you will find the symptoms more severe. In this case, it can be helpful to have someone to talk to, like a counselor or psychologist. You can also visit spiritual forums online and see if there is anybody you can turn to who has gone through the same experience of spiritual awakening as you. However, it is important to remember that spiritual awakening symptoms are just indications that you are not yet up to speed with this new and high vibration of unconditional love that you have just allowed through your chakra. To ease the spiritual awakening symptoms, make sure to drink lots of water, get plenty of rest, eat healthy, go for walks, and practice mindful meditation. As you leave anger, hurt, pain, bitterness and inner resistance behind, and move towards acceptance and inner peace, the healing process can begin. This stage of spiritual awakening is less turbulent and confusing and can be a welcome relief. You are now starting to accept your life exactly as it is, and understand that death is part of the life cycle and that your loved ones who have made the transition are still with you in spirit. You are now beginning to see yourself, others, your life, and the world in a new and positive light. You may still experience spiritual awakening symptoms, but now as you have found inner peace and entered the healing process, they will be easier to handle. Your spiritual awakening process is now completed, and you are much happier. You feel unconditional love for yourself and others, are less judgmental, and can experience oneness with people, animals, and nature. In other words, you are now spiritually awakened and aware. However, your spiritual journey continues with new life learning experiences, towards spiritual enlightenment. Spiritual Awakening – Signs vs Symptoms? So what are the signs and symptoms of spiritual awakening? Before we answer this, let us first clarify the difference between signs and symptoms. A sign can be objectively observed by people around you, while a symptom is a manifestation that is apparent to you. The first signs of spiritual awakening that people around you will most likely notice, are your improved mood and attitude. You will seem more relaxed and happier than ever before, and things will not bother you as much as they did in the past. People will also ask why things are always working out for you, and if you are doing something “magical” due to all the luck you seem to be having lately. They will also notice that coincidences and events of synchronicity seem to happen to you all the time – very common spiritual awakening signs. However, it is possible that your friends and family will find you more anxious, confused and moody than ever before, which can also be spiritual awakening sings. This has to do with the fact that spiritual awakening opens up your heart, but if you resist this high energy of unconditional love with negative thoughts of fear, worry, bitterness, anger etc. (all low energy thoughts) – your inner resistance will become more apparent than ever before. As you spiritually awaken, you can no longer hide your emotions and inner truth. Everything that has been locked inside of you for so long needs to be released out of your system, so that you can fully allow the positive energy that is now coming in a stronger way. When you learn to stop negative thought patterns (with meditation), you will soon regain balance. You will be able to allow the high vibration of unconditional love that is entering your experience as part of the spiritual awakening. When you learn to allow this energy without any resistance, people will start noticing “miraculous” changes in you and your life (as described above). So what are the first symptoms of a spiritual awakening? 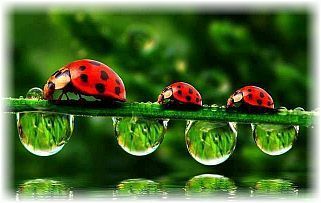 If you find yourself noticing your surroundings with keen awareness, it is a clear first sign of spiritual awakening. Perhaps you now observe things that may not be of great ”importance”, such as the color of the car that just passed you by, the cat in the bushes, the birds in the tree etc. Spiritual awakening causes an acute awareness of what’s going on around you. All of your five senses become heightened as you enter the spiritual awakening process. The water you drink will taste better, the colors in nature will seem more beautiful than ever, the singing birds will amuse you, the wind in your face will feel wonderful, and you will even stop to smell the flowers! Other spiritual awakening symptoms can be your awareness of subtle vibrations as you enter a room full of people, or your awareness of your own emotions in certain situations etc. The symptoms of spiritual awakening are very individual indeed, but you will start noticing these kinds of awakening symptoms at an early stage as you practice mindfulness on a regular basis. So the first spiritual awakening symptom is the acute awareness of your surroundings through your five senses. Let us now explore spiritual awakening symptoms further on a physical, emotional, mental, and spiritual level. As you practice mindful meditation on a regular basis, you may experience physical symptoms of spiritual awakening. Many people who meditate experience that their hands and feet get warmer and even tingle. Other physical symptoms of spiritual awakening are racing heart, itchy skin, ear ringing, and a feeling of lightness. You may also experience changes in energy levels, sleep patterns, and in bowel movements. Some people may even get headaches, backaches, pain, allergies, dizzy spells, and night sweats. These physical symptoms of spiritual awakening are just indications of an inner resistance, and that you are not yet up to speed with the higher vibration that your meditation brings about. However, as you learn to relax, let go of your inner resistance, and get accustom to the higher vibration, the physical symptoms of spiritual awakening will subside. When you are not used to the high vibration that mindfulness meditation brings about, you may experience emotional symptoms of spiritual awakening. Most often you will feel calm, happy and joyous after a meditation for spiritual awakening. However, it is also possible that you experience mood swings, sudden waves of emotions, overwhelming feelings, anger, impatience, sadness, feeling drained of energy, nervous breakdowns, panic attacks etc., for no apparent reason. Old memories (good and bad) may suddenly resurface. Being on an emotional roller coaster is all part of the spiritual awakening process. This is all part of the spiritual awakening process. The chakras are opening and closing which can cause these mood swings. These emotions have been serving you in the past, but now you need to let them go. The important thing is that you let out your emotions without getting attached to the negativity by re-thinking and analyzing your emotions, because that will only keep the negative feelings stuck inside of you. The purpose with meditation for spiritual awakening is to allow the emotions to surface in the holy light without introducing any resistant thoughts so that they can resolve in this light; in this high vibrational place of spiritual awakening. So, feel the emotions without adding any thoughts, stay present and allow the emotions to be there without reacting on them. After a while the emotions will resolve on its own in the holy light. As you awaken spiritually it is not unusual to think that you are losing your mind, and that you are going crazy. You may also find yourself talking to yourself more often. An increase in “inner chatter” and self-talk that is making you feel bad, are actually quite common spiritual awakening symptoms. You may experience strange voices that feel uncomfortable and that don’t seem as your own. Well, that’s because they are not. This uncomfortable voice is the voice of the ego, and not your inner voice of love. Mindful meditation for spiritual awakening will teach you to quiet your mind to move beyond your ego. The ego is very clever and understand that you are now trying to get rid of the ego and will do anything to stop your spiritual awakening process. You ego lives and thrives on negative energy from your destructive thoughts, and will ”put up a fight” and increase the negative voices in your head. Remember that when you all of a sudden think that you are losing control, or losing your mind, it is the ego trying to resist the spiritual awakening process in any way it can, so be aware. A general rule is that if the voice in your head makes you feel bad, then it’s the voice of the ego, and if the voice in your head makes you feel good, then it’s your inner voice speaking. Typical spiritual awakening symptoms can be found in your dreams. The dreams are more vivid and intense than usual. You may dream of angels, spirits, and deceased love ones, and it all seems so real. Other spiritual awakening symptoms can be events of coincidence and synchronicity, a feeling of being closer to nature and animals, a feeling of oneness with everything, a sensitivity towards other people’s feelings, a sudden feeling of being different from family members and friends. You may also start questioning your life purpose, realizing what your life purpose is, dropping old friends and making new ones, speaking your truth, having an intense urge to find your soul mate, wanting to make life changes, wanting to take better care of your body, or become interested in tarot cards and crystals, which are common spiritual awakening symptoms. 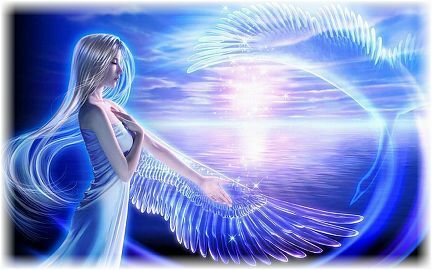 As you awaken spiritually you may have spiritual dreams & develop psychic gifts. Other spiritual awakening symptoms that don’t necessarily happen to everyone can be out of body experience, seeing colors in your mind (peripheral vision), sudden interest of healing, sensing presence, being able to see, hear, and communicate with angels, guides, spirit beings, and/or deceased ones. 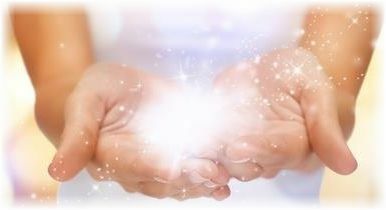 Maybe you don’t develop any healing abilities or psychic gifts, but you will definitely have a higher awareness of the spiritual world as a response to your spiritual awakening. One of the most common spiritual awakening symptoms is that we all of a sudden seem to have fewer problems in our lives. Everything gets easier and things that we perceived as problems before, are now just situations. Instead of being problem oriented, we now become more solution oriented. We realize that problems only exist in our minds. In the present moment, there are no problems. Mindfulness meditation is about releasing thoughts, and in that moment no problems can exist. So, as you enter the spiritual awakening process and become more present, you will experience less negative thoughts and feelings, because you will not occupy your thoughts with worries about the past and future. Instead, you will feel calm, relaxed and at peace. Furthermore, your sense of self-worth will increase. You will realize that you have a place and purpose in this life here and now, just like everyone else. Your spiritual awareness will remind you that since we are all connected, you can no longer feel superior or inferior, and thus your self-esteem will automatically increase. When you stay in the present moment, you become more aware of your emotions early on. You will be able to detect emotions such as fear or anger before the momentum starts. Instead of listening to your ego and react on your negative emotions, you will be able to become still in that situation and not react until your negative emotions have passed. As you move beyond your ego and find that inner space, you allow your inner wisdom to enter and guide you. Your actions will be based on love, which are clear symptoms of awakening. This dissolution of your identity as a separate self (ego) is indeed a very important spiritual awakening symptom, because you will experience an inner peace and freedom that you have been seeking for so long. This spiritual awareness when you transform the feeling of separateness into a higher level of unity consciousness, will change your whole life. As you reclaim your true power, your relationships and your life in general will improve, which are definite symptoms of spiritual awakening. 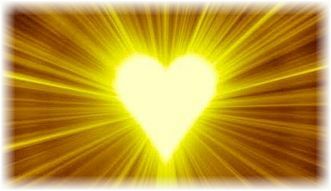 You will begin to tap in to the high vibration of unconditional love as you awaken spiritually. As you move beyond your ego, you will start hearing your inner voice much clearer. Your inner voice always comes with messages that feel good and empowering. These messages can come as an inspired thought or action, or come in your dreams, which are very common spiritual awakening symptoms. You may actually get clear visions, or hear your inner voice clearly, or your inner guidance may communicate with you through your other senses: as a smell, taste or emotion. The Divine guidance can come in many shapes and forms; through dreams, events, people etc. One of the most amazing spiritual awakening symptoms is the connection to the Divine force. Unconditional love is the energy that will flow through you from this place of spiritual awakening, and your power of influence from this state is huge! Small actions based on love can lead to big changes for you and the people around you. The feeling of increased self-worth and compassion towards people around you, are spiritual awakening symptoms that are very powerful when it comes to profound changes in your own life, as well as others. As mentioned earlier, even though we may not reach the state of being ”fully” enlightened, we can certainly come to a permanent state of spiritual enlightenment. The spiritual awakening process continues throughout our lives, and magical experiences are there for us all yet to explore. Spiritual awakening is a shift in consciousness. Instead of understanding it mentally, we can explore the movements of spiritual awareness emotionally. So, notice how your experiences of ”spiritual awakening” make you feel. As you enter the spiritual awakening process, you will feel better and better in every way because you enter the energy of unconditional love – the Divine Force – and as you do that, you now hold the key to create and manifest whatever you desire! When you are enlightened, you can manifest whatever you desire!